WP Suspension | RG3 Suspension - Fjädringsexpert inom Motocross och Enduro. 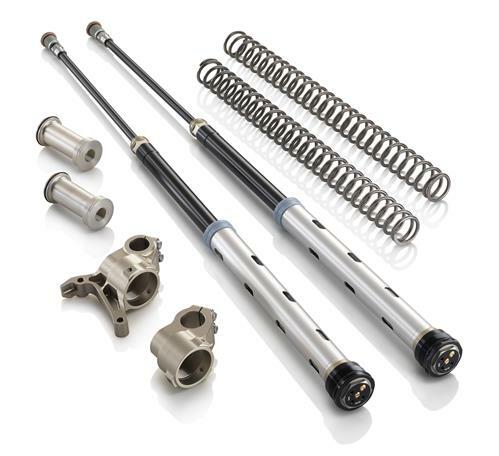 WP Suspension has extended the successful 5018 MX Competition shock absorber range with the ingenious, self adjusting WP-TRAX system to obtain the highest levels of grip ever achieved on a motocross circuit. 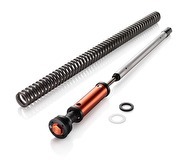 WP-TRAX is a very compact, mechanical system that is integrated into the bottom section of the shock tab absorber. WP has developed the inventive WP-TRAX system in close co-operation with off-road world champions. WP-TRAX detects when the pressure on the rear wheel decreases the immediately activates the mechanism by which the rear wheel id pushed back to the ground in milliseconds. 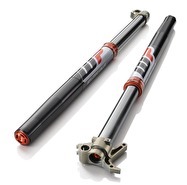 With current MX forks a lot of compression damping is required. To create better comfort, most suspension tuners concentrate on changing the check valve setting. The WP Cone Valve has a unbeatable individual progressive damping behaviour with setting options for the range of compression and rebound and WP produce the Cone Valve Fork only based on the customer's requirements. The WP Motorsports Cone Valve technology permits almost limitless damping performance due to a unique valving system. The setup of a conventional damping system has always been a compromise between sufficient comfort and bottoming resistance, where as the Cone Valve technology now permits a combination of both factors, resulting in outstanding damping behavior in variousriding conditions. 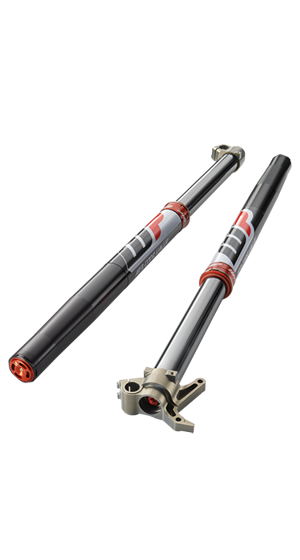 The WP Cone Valve Fork can be customized for every rider and is made of the highest quality materials and coatings which have been developed in close collaboration with current World Championship riders aboard many different motorcycle brands. 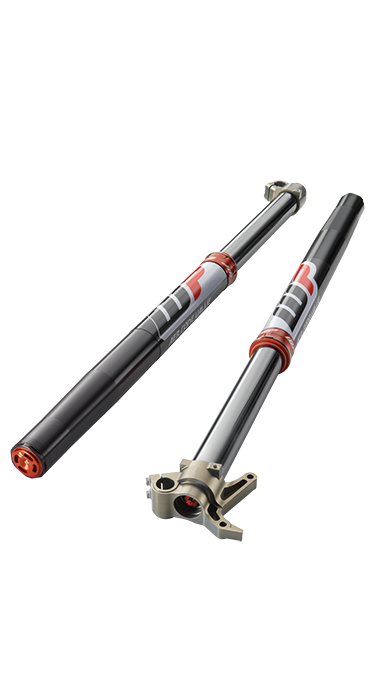 WP Motorsports suspension can help you “Get in Front” so what are you waiting for? With this kit, the AER 48 air cartridge on the air fork leg is replaced with a spring cartridge kit. The damping side remains unchanged. prove how effective it is. is not possible because of the slow rebound of the rear wheel.